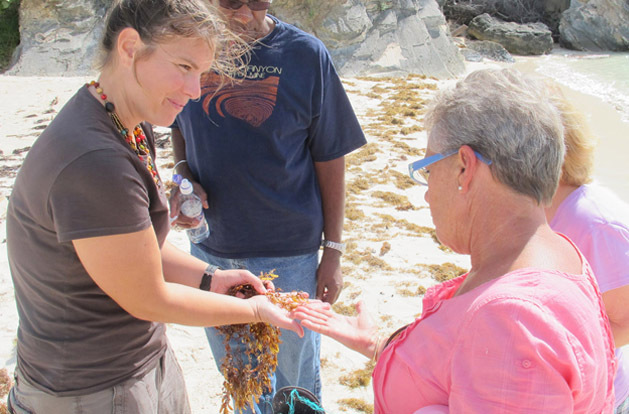 Over a two day period last week (October 22-23, 2012), 45 teachers from 25 primary and secondary schools in Bermuda took part in "Expedition Sargasso" - the professional development workshop put on every year by the BIOS Education staff. The theme of workshop activities changes every year to reflect the various explorations conducted over the summer by students in the BIOS Explorer Program. This year's focus highlights the policy conversations and scientific research taking place in and around Bermuda about various initiatives to preserve and protect the "golden floating rainforest" of the Sargasso Sea.